I was sent these samples by Wetherspoon's recently. They are stocking them in their UK pubs but they will also be bringing them to Ireland when they start opening here very soon. I had these in reverse order of how they are shown. 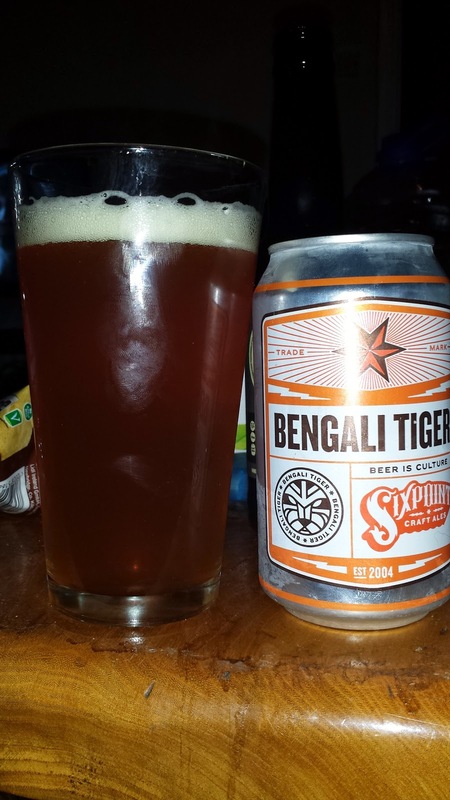 Bengali Tiger is bitter but still balanced IPA. 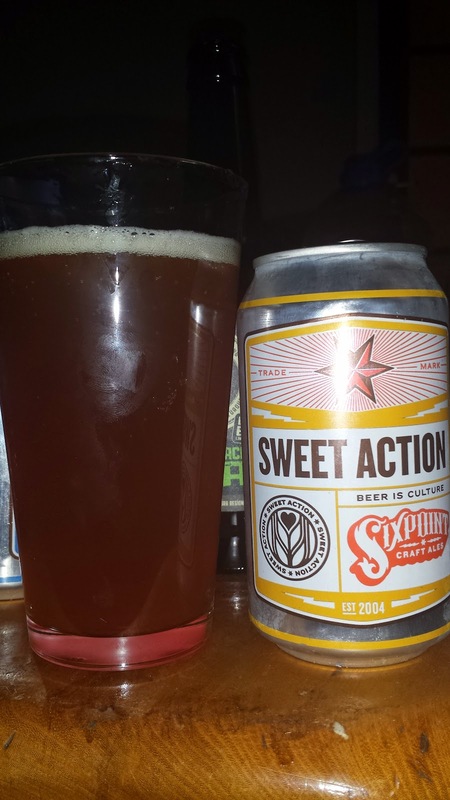 It's slightly on the watery side, lacking the chewy body you get in many American IPAs but this doesn't detract from the beer, it simply makes it easier to drink. Expect a lot of orange, pine resin and a little tropical fruit. Sweet Action is the younger brother to Bengali Tiger. It's 5.2% versus the 6.4% of Bengali Tiger. It's a very similar beer with the same orange, pine resin and tropical fruit notes. The only real difference is a little less aroma. 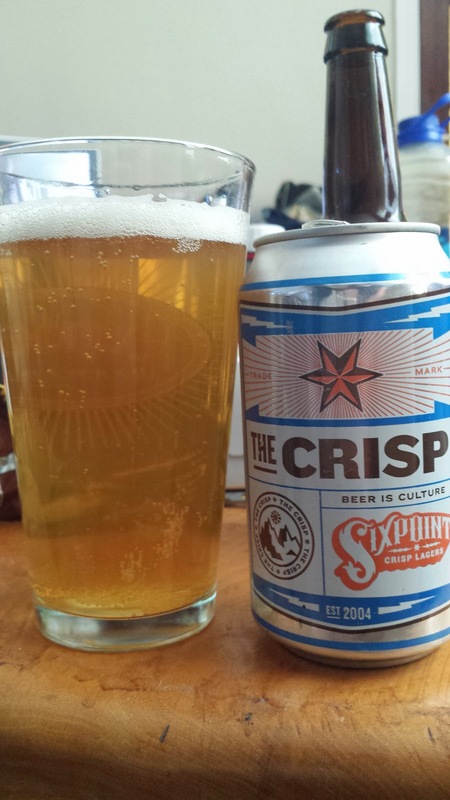 The Crisp is their 5.4% lager. It's a peachy little number but slightly lacking the promised "crisp". In fact it was a much bigger bodied beer than I was expecting. Slightly watery but big bodied at the same time. The result is a very pleasant and easy drinking lager with hints of peach and lemon. So there we have it, three decent American beers will be available from Wetherspoon's in Ireland when it opens. Not quite the best American beers out there but I certainly wouldn't say no if the price is right and that's supposed to be the deal with spoons, the price is supposed to be right. We shall see how that goes. Rumour has it they're crashing and burning in the UK. They may not still be around by the time The Three Tun Tavern opens. Interesting, I hadn't heard that. Do you know the opening date? I had thought it was May some time. 8th July was given as the opening date back in February. They've miscalculated the price point over here - they're going at £2.89 or two for £5, which in Spoons' terms is a bit toppy for lager (given that your can gives you quite a lot less than a pint), but insanely expensive for cask beer. They're selling a couple of Samuel Adams and BD bottles at the same sort of price, so I guess they think they can tap into the 'craft' market, but I think going big on these cans was a mistake. Some Spoons are already selling them at £1.99 each; I haven't seen anywhere offering three for £5, but it can't be far off. They were £1.99 each in my local Spoons. The Sweet Action was not just hazy but totally opaque - was yours the same? They didn't seem to be filtered at all, not even the lager. I'm not the sort of person that cares about that. I often prefer unfiltered and hazy beer, it really depends. I wonder are they can conditioned? New Belgium does that with the can version of fat tire.